Renting a storage unit from Plateau Heated Storage has it's advantages. Not only can you get the right amount of storage within your budget, but as a full service business we also offer packing and moving supplies for sale as well as moving truck rentals. 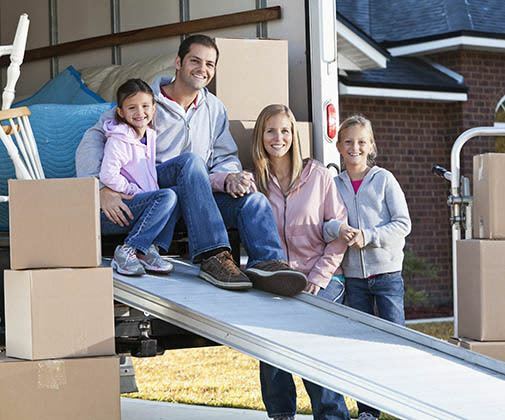 At Plateau Heated Storage you can rent a U-Haul moving truck from us whether or not you're renting storage from us. We're your Sammamish U-Haul moving truck rental headquarters. U-Haul trucks are known throughout the industry as being reliable moving trucks, designed to help individuals and families with do-it-yourself moves. Trucks feature wide, short ramps and low decks for ease of loading and unloading. High visibility, quality maintenance, air bags, seat belts and 24-hour roadside assistance make U-Haul trucks a reputable choice for moving rentals in Sammamish, as well as throughout the country. Plateau Heated Storage offers U-Haul moving truck rentals in Sammamish, WA, and the surrounding areas in a variety of sizes. Don't know where to start or how much space you'll need? Our professional staff is on-site to help you select the proper size of truck with their expertise and passion for excellent customer service. Contact us today for more information about moving truck rentals at Plateau Heated Storage. Get organized, be prepared, and know how to pack your moving truck in the most efficient way possible. Here are a few suggestions from Plateau Heated Storage. Have a Plan – Stage your items in advance of your move. Queue items in the order they need to be moved onto the truck. Load Heavy Items First – This may seem like a no-brainer, but loading heavy items first, against the cab will provide extra support. Make sure to balance these heavier items centrally against the cab with weight on either side to prevent movement while being transported. Don't Skimp on Packing Supplies – It can be easy to use older boxes and to shy away from using the proper materials to pack easily damaged items. Using actual moving boxes and packing supplies will decrease the chance of harm to your belongings during the move.